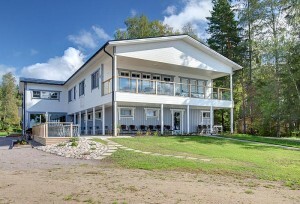 It is really easy to spend a holiday in Aurinkoranta. 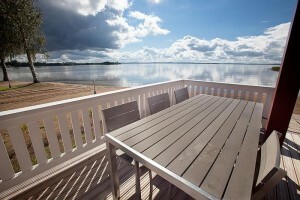 The cottages are designed for a relaxed time spending, taking a sauna and cooking. Good night sleep guarantees a refreshing holiday, that is why we paid special attention to providing our guests with bedrooms of proper sizes and comfortable beds. There is something suitable for each and every one. Marja loves brand new villas of Finnish design, Hannu chooses an intimate old log cabin in the shade of ancient pines, looking for rest and peace Emilia books a remote cottage to be able to listen to silence next to hiking routes of Evo, sick-and-tired of ordinary hotels Joni comes with his friends to Estelle and books the whole “hotel” for themselves. A wedding is definitely the greatest holiday in life. Everybody wants a wedding which is unforgettable, beautiful, memorable, individually planned in the style of the wedding couple. Estelle, usually used for special occasions such as weddings etc, has become a very popular venue. Many happy couples got each other hear both in severe frosts and on hot summer days. A wedding weekend in Estelle is enjoyable peaceful. Decoration can be started already on Friday morning and the whole place is at your disposal until Sunday evening. Accommodation for the guests can be arranged both in Estelle and nearby cottages, which makes it really easy to gather for Sunday brunch. You can have a look at wedding pictures, go to the sauna, discuss all the happenings and enjoy both a great event and a pleasant company. 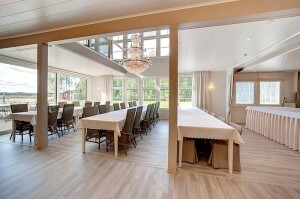 In addition to Estelle, Armi and Oskari as well as all the other our cottages are a good choice for arranging a party. If you want a surprise party or a proper crockery and table linen, booking such a venue will make your life much easier. Aurinkoranta sand beach is one of the best in Southern Finland. The beach which looks on south- west is warm and sunny. Cold nothern winds stay behind the Aurinkovuori ridge making our beach calm for most of the time. That is why water in the summer is always warm. The water is shallow, ane sand covers the bottom of the lake with waves producing real masterpieces to be seen through crystal clear water. Every cottage has its own beach and boat exept Armi and Aukusti. A great view on lake Vesijärvi and only 12 km to the opposite shore of Hollola. It is really easy to arrive to Aurinkoranta. It is located next to the centre of Vääksy where you can get to from our cottages following the bycicle lane. There are design shops, cafes, boutiques in Vääksy only two kilometers away. It is also only two kilometers to Vääksy Canal and three to the bigger shops. Along with them there are restaurants and museums in Vääksy. Vääksy Canal is one of the busiest in Finland with lots of boats passing through it every day. You can travel to Lahti or to Jyväskylä on one of them. It is easy to practise any kind of sport in Aurinkoranta. Just on the other side of the road, in beautiful landscapes of Aurinkovuori, there are lighted tracks for walking or jogging which turn into skiing tracks both for cross-country and skate skiing in winter. Aurinko-Ilves hiking route from Vääksy to Evo runs close to our cottages and following it you can easily get to our remote cottage Tervas located on the border of Evo. The nearest golf course – Kanava Golf Vääksy is only five kilometers away and the ones in Vierumäki and Messilä are about 30 km away each. It is three kilometers to the sports centre and ice- stadium, two to the yoga hall. You can join group exercises and go for a swim in Tallukka hotel located in four kilometers. Other swimming pools of Padasjoki and Lahti are 25 km away each. 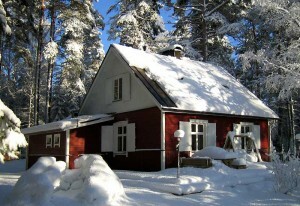 Lehmonkärki, another cottege resort with access to Päijänne National park, is in 10 km.